Join #NoTeenShame, Tara-creator of The Young Mommy Life, and myself for a Twitter chat today! 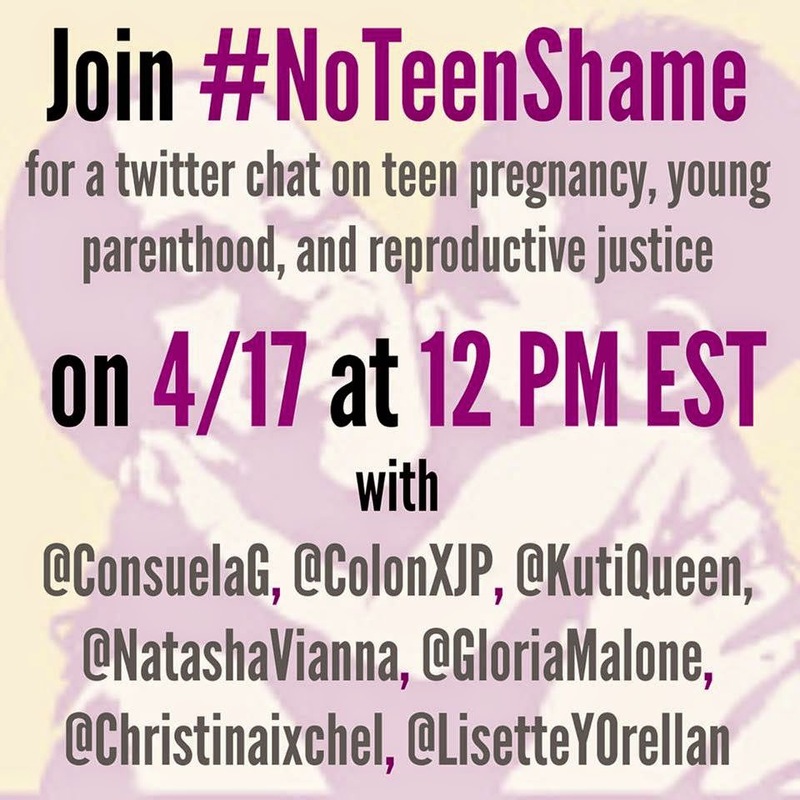 We will be discussing teenage pregnancy, teenage/young parenting, and reproductive justice on the hangtag No Teen Shame (#NoTeenShame) at 12pm EST. If you have not joined a twitter party before it is really easy. Simply click on the hashtag No Teen Shame (#NoTeenShame), read along, share your point of view, and be introduced to a world of support and encouragement from former teenage mothers from around the country and organizations that help support us and our families!